Treasured as a beauty-enhancing, health-boosting oil in the Ayurvedic tradition, Neem oil shares many of the same properties as tea tree oil, but without the harsh terpene content. One primary advantage of Neem oil is its soothing, high fatty acid content making Neem oil especially gentle and nourishing when used for itchy, sensitive or dry conditions. Skin aliments, especially ongoing, chronic problems, often respond very well to Neem oil. Hair Care : Coconut oil is one of the best natural nutrition for hair. 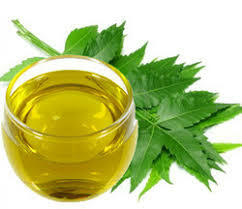 It helps in healthy growth of hair providing them a shinny Neem oil is a natural alternative for healthy skin and hair. It is proven effective for many skin care problems such as acne, eczema, psoriasis, scabies, dry skin, chicken pox or use as a first aid for cuts and burns. Treats skin arritation and ward off insects. Added to other products, Neem oil helps dry or scaly skins. Neem is also a strong antiseptic oil with insect and lice repellent qualities. Shelf life: 12-24 months in cool conditions in unopened containers. Storage : The product must be kept into the original packaging, protected from moisture, properly closed under cover. Storage temperature between 10 to 22°C max. Effects of temperature <10°C partially solidification of the saturated fatty acids. Effect of temperature >40°C possible auto-oxidation and peroxide value increases.